Welcome to the website of SREBRNA Apartments! 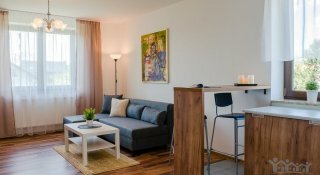 You are welcome to look through our offer of comfortable, air conditioned and fully equipped apartments for rent, located in a convenient location in Pszczyna at ul. Srebrna. Our proposal is an ideal solution for businessmen, managers or senior executives or companies sending their employees for longer trainings, business trips or contracts. 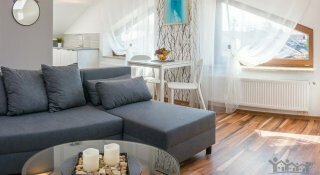 We specialize in business and long-term rental of apartments, which are a perfect alternative to hotels and boarding houses. Staying in an independent, comfortable apartment with a fully equipped kitchen ensures our guest a feeling of silence, independency and privacy that can not be guaranteed by any hotel. 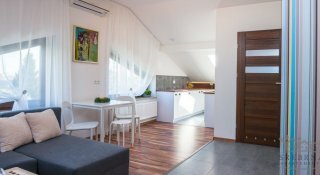 An advantage of SREBRNA Apartments is also their favourable location in Pszczyna, an attractive place to live known as the gem of Upper Silesia. Pszczyna is situated far from the urban rush and noise with a rapid and easy access to cities such as Katowice, Bielsko-Biała, Tychy, Czechowice-Dziedzice, Jastrzębie-Zdrój or Rybnik.